Regardless of your socioeconomic status, the first step to changing your future is changing the way you think. 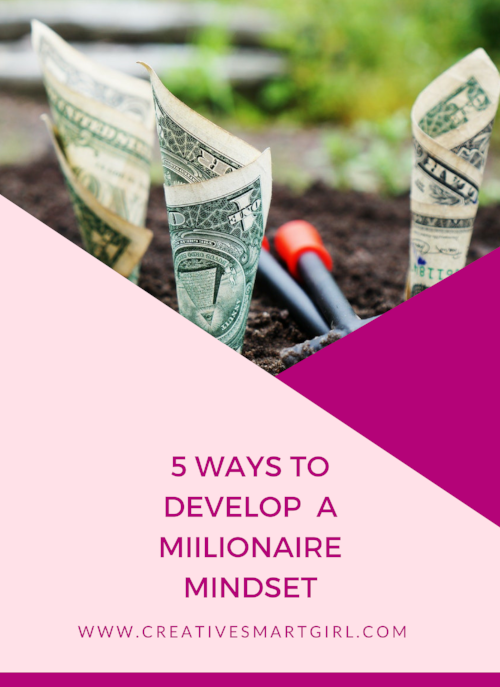 There are five basic things that you can do to change the way you think and interact with your money, to set yourself on track to being a millionaire. There are many things most millionaires have in common and the no.1 thing may be that you don’t even know they’re millionaires. Wealth is how much all of a person's assets are worth, minus liabilities ,essentially their net worth. Income is very different in it's just how much money a person earns from the sale of their products, services or labor. Understanding the difference between the two will help you develop a millionaire mindset because having an average or even low income can't stop you from becoming a millionaire, a low net worth does that. According to The Millionaire Next Door, the annual taxable household income for a millionaire is $131,000, while the average household net worth is $3.7 million. Knowing how much you're willing to spend and how much you actually do spend on certain things will help you lower your expenses. There are some things that most millionaires will invest in, while others things can come right off the shelf at your local store. The typical self-made millionaire has paid at most, $300 for a suit, while an inheritor of wealth would pay $600. In the book one millionaire shares that they paid $2,000 for a suit, but after 14 years they still have it. Don't spend large amounts of money on things that won't last, use large purchases as investments. Many millionaires that were surveyed by Thomas J. Stanley and William D. Danko, will agree that charity begins at home. There is nothing wrong with being frugal, it will pay off. Again, be sure to invest in things that will actually give you a return and will be worth the money . The millionaires profiled in the book live well below their means. Most wear inexpensive clothes and drive domestic cars. Only a small percentage of millionaires even drive the current-model of their vehicles and bare any ever lease a car. Most millionaires only live off a percentage of their income, if they make $100,000 a year, they'r living like they're only bringing in $50,000. On average, millionaires invest about 20% of their income each year, they are very serious about investing and is what also helped them build their wealth. About 79% of all millionaires have at least one account with a brokerage firm. If you don't have a lot to invest, start small with apps like Acorns or Stash. Are you on track to start thinking and living like a millionaire?